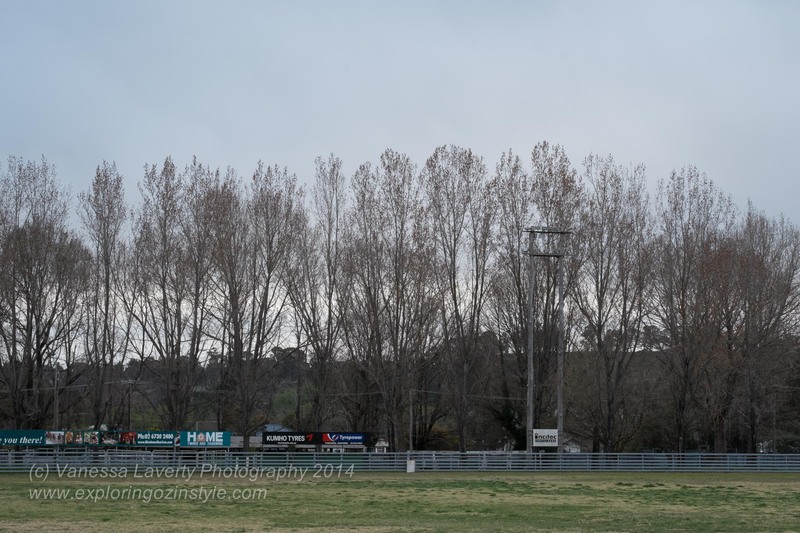 We had occasion to stay at the Glen Innes Show grounds for a National Meet of Camper Trailers which ran for a whole week. This location was chosen for us as the site for 110 camper trailers and caravans. Glen Innes is in the picturesque New England valley south of Tenterfield and no matter what time of year, is always very pretty. The Showgrounds provided excellent facilities for all those people (250) and we were extremely impressed with everything there. It’s close to town – you can walk if you want. There’s obviously plenty of room and even with 110 CTs and caravans there, there was still room for more people who weren’t part of our group to spread out away from us. The most impressive thing to me was that the showers were ALWAYS HOT!!!! and there was plenty of water pressure. Facilities are clean and looked after. There’s a Dump Point at the Showgrounds. Powered and unpowered sites available and at the time of writing it was $20/night for powered; $15/night for unpowered. Dogs were welcomed with the usual rules applied. We would definitely stay there again on our way through. I think you will find that you cannot normally camp at the show grounds. It was arranged only for the camper trailer meet. There are I think three caravan parks in town where travellers normally stay. Maybe check this fact with Rob through the camper trailer website. cheers, Keith.